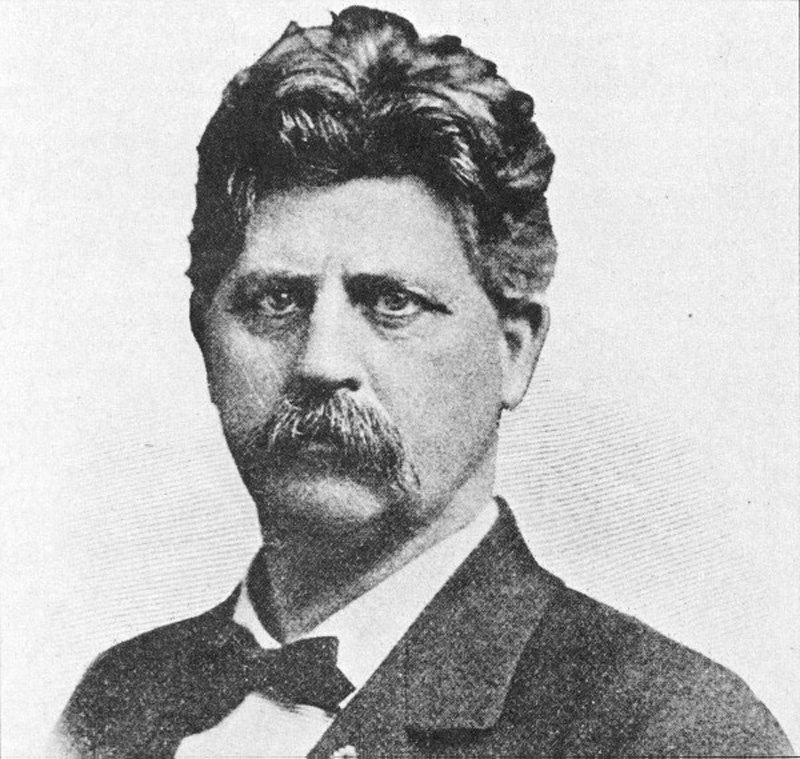 California's 20th governor after statehood, Henry Tifft Gage came west from New York, where he was born in 1852, to seek his fortune. He found it in Acton. Gage was an attorney by profession but established himself in Los Angeles as a sheep dealer. His interests soon turned to gold. About 1875, according to the late SCV historian A.B. Perkins, "he purchased the Bard holdings in Bouquet Canyon [Saugus] and erected a water storage dam with the intent of fluming the waters down for placering [sifting through alluvial sand for gold flakes]. The gold dust was present but proved to be too fine for profitable recovery." Gage returned to the law and was elected Los Angeles City Attorney, but his belief that the Santa Clarita Valley hid vast deposits of gold did not fade. Gage and his associates snatched up what proved to be some of the most productive gold mines in Soledad Canyon, near the tiny burgh of Acton  the Red Rover Mine, the Emma, the Puritan and the wildly successful New York, which alone produced $1.5 million from 1895-97. The money no doubt played a role in Gage's next career decision. Elections were still machine-run at the end of the century, and the Republican Party was split between "Railroad Republicans" and "Reform Republicans." The California Republican Party had been founded, after all, by Leland Stanford, governor in 1862-63 and one of the "big four" of the Southern Pacific Railroad  the others being Charles Crocker, Collis P. Huntington and Mark Hopkins. A friend and ally of Theodore Roosevelt, Gage was an SP backer and, on Jan. 4, 1899, he succeeded an anti-SP Democrat as governor of California. State Capitol historian Molly Shoemaker Schaechtele describes Gage's single four-year term as a rocky one. "When bubonic plague broke out in San Francisco," she writes, " he publicly denied the existence of the plague, only to be proved wrong. Later, he 'negotiated' a major labor strike by threatening to impose martial law if both sides did not compromise." "When a newspaper printed a cartoon of railroad king C.P. Huntington leading Gage around on a leash," Schaechtele writes, "Gage retaliated by signing legislation that restricted the press whenever politics  or politicians  were involved." One supposes Gage's reaction was not extraordinary for the time; an earlier governor had shot and wounded a newspaper editor in a duel (after leaving office, and after stating that those foolish enough to duel aren't fit to live), while another governor, prior to his election, had a gun drawn on him by a newspaper editor in retaliation for a physical assault. Gage entertained several notables at the Acton Hotel while keeping an eye on his mines, among them Roosevelt, attorney Earl Rogers and the King of Spain. In 1900 Gage appointed hotel owner Rudolph E. Nickel to the position of port warden at San Francisco Harbor. Though Gage's mines had seen their most productive years by the time he left for Sacramento, Gage's sons had moderate success with the New York when they reopened it in 1932. They renamed it the "Governor" in honor of their father who had died eight years earlier in Los Angeles, where he made his principal residence. A middle school and street are named for him there.